For 29 years now, the Pro Bowl has made it’s home here in our islands, which has helped our thriving tourism industry tremendously. It’s one of the most watched Bowl games, which succeeds the ‘Big Sunday’ game. 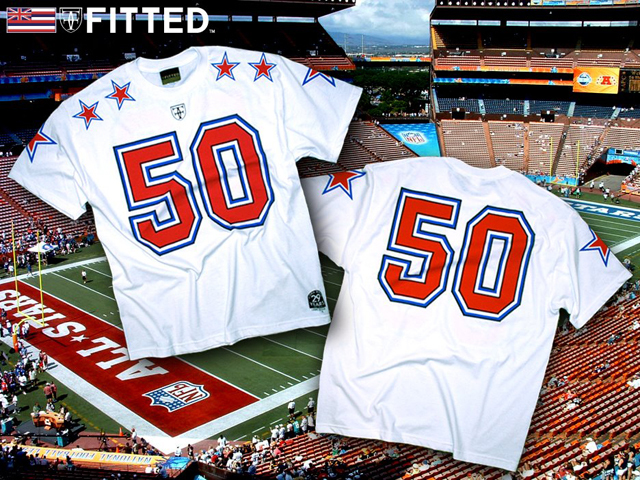 Just recently the NFL made a decision to move the Pro Bowl one week before the Super Bowl as well as moving it to whichever city it’s being hosted in, starting in 2010. Both Governor Lingle & Mayor Hannemann were in pressing negotiations to keep the coveted Bowl game in the islands, but NFL commissioner Roger Goodell spoke to the press and disclosed that not only will the next game be played in Miami, but that “Having the game precede the Super Bowl would avoid a “somewhat anticlimactic” ending to the season.” However, according to ESPN, “It’s probable that the game will return to Hawaii after 2010, although not on the permanent basis as has been the case over the past three decades.” To further the possibilities of a return to Hawaii, the 2011 Super Bowl will be held in Dallas, Texas while the 2012 game will be held in Indianapolis, both of these states are pretty stale as tourist destinations during the winter season. Despite the “probable return,” this is sort of a low blow; with the current state of our economical climate that we’re stuck in, it’s almost as if the NFL is dipping into OUR pockets, inadvertently – but none the less, the Pro Bowl is a big slice of our bread & butter. Either way, it’s a done deal and all we can do is hope & pray they make the smart decision to bring it back to the ‘aina where it belongs, served with a main course of Aloha. Shoyu, as it’s known locally, is a natural condiment staple here in the islands. Used on almost everything we consume. It’s essential to almost every meal as ketchup is to french fries. Aloha Shoyu has been around since as early as 1946 and has firm, historical roots here. 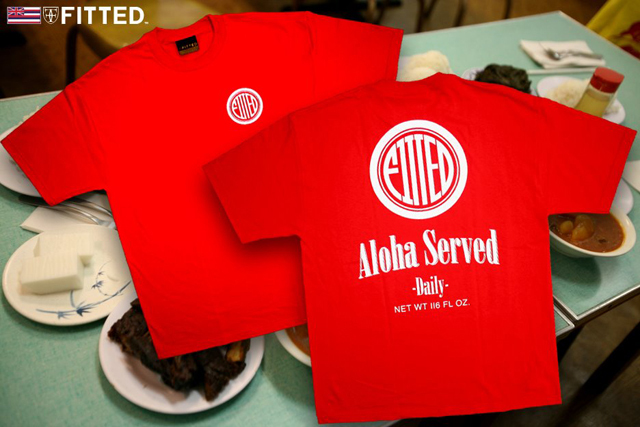 This shirt that we’re releasing today is printed on red and features Fitted in a circle with “Aloha Served Daily” on the back. The front features the same Fitted logo on the left chest area. Clean & simple is how we do it.